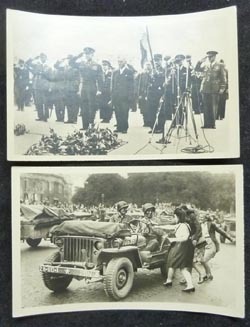 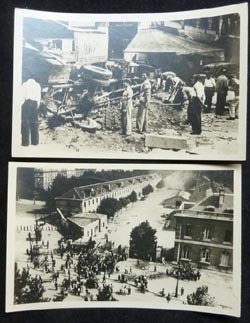 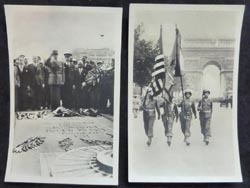 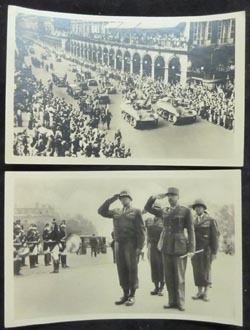 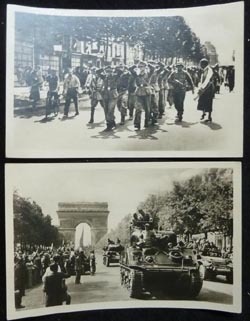 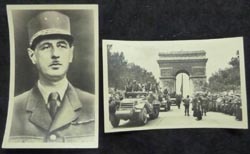 This is a neat grouping of 20 actual WW2 era photographs, published in France as picture post cards in the series "Liberation de Paris". 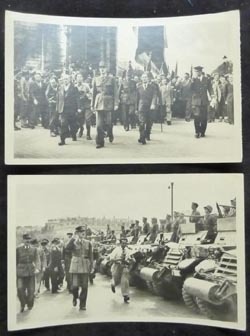 Each card measures approx. 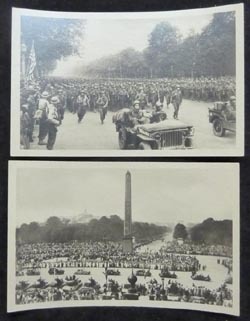 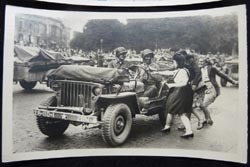 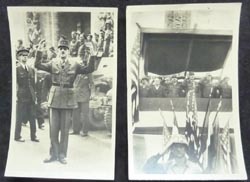 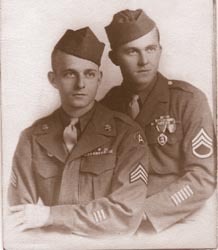 3 1/2" x 5 1/2", and is marked on the back "Liberation de Paris (Photo Press-Liberation) - Real Photo - C.A.P. 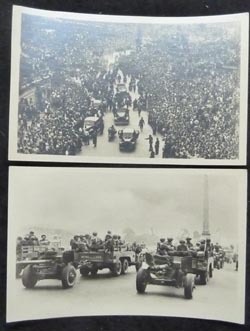 - Paris", with a caption in French and English.